Our cozy studio is located on the way to the Botanical Garden in Pechersk. 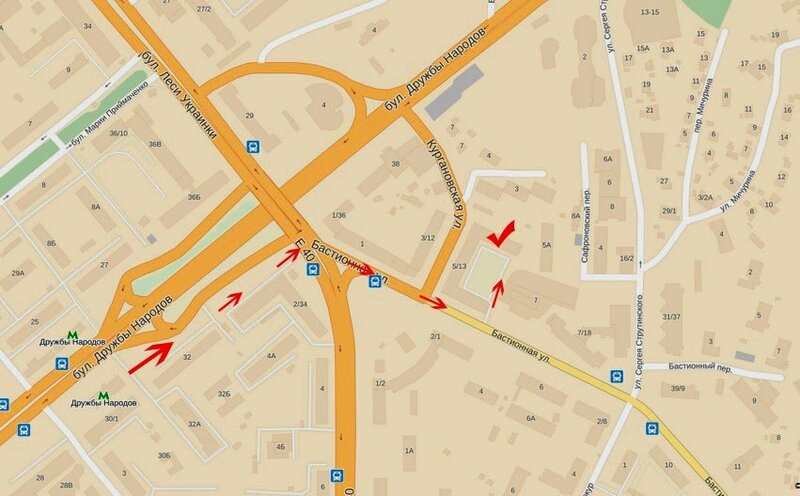 The nearest subway station is Druzhby Narodiv (within a 10-minute walking distance). Also you can get to our place by trolleybuses #14 and #38, buses #62 and #119 or mini-buses # 416, 444, 450, 491, 520, 590. Enter the yard at Bastionna Street 5/13. The entrance code on the door is 1k.